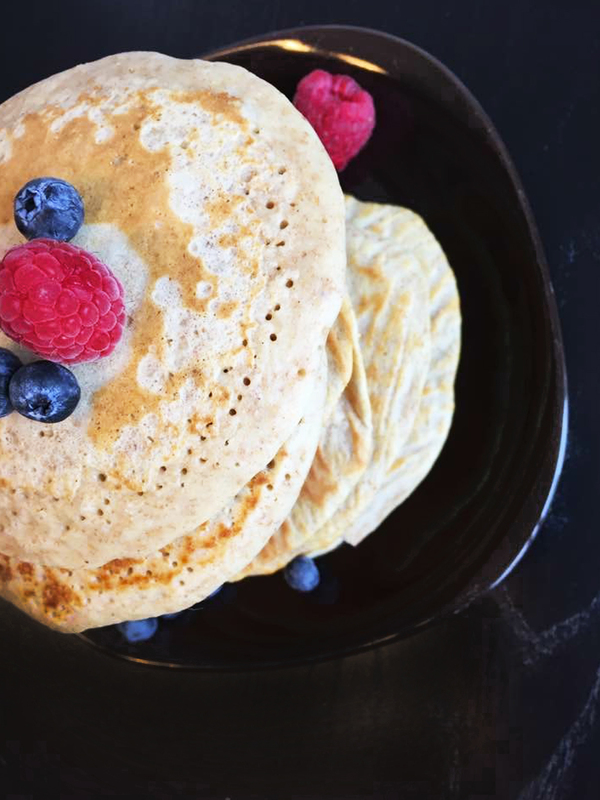 I created this recipe of baby cereal pancakes for Téo when he first started Baby Led Weaning (BLW)… He loves it so much that I still make it from time to time. It also makes for a great snack when paired with a fruit. On a baking tray, pour the batter to create 4 centimeter circumference pancake, or the size of your choice. Leaving a little bit of space in between the pancakes. Cook in the oven for 10 minutes, flipping them halfway through.